The USS TANNER (AGS-15), an Artemis-class attack cargo ship, was commissioned on 10 FEB 1945 as the USS PAMINA (AKA-34). 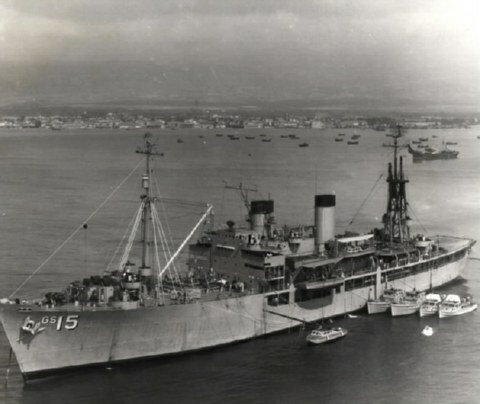 USS PAMINA served in the later stages for the war against the Japanese then returned to the US in 1946. On 15 MAY 1946 USS PAMINA was renamed USS TANNER, after Zero Luther Tanner (1835-1936) a US Naval officer and a pioneer in hydrography, and reclassified AGS-15. 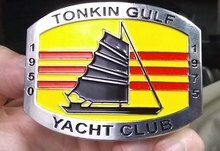 Over the next twenty three years TANNER surveyed the Caribbean Sea, North Atlantic Ocean, Mediterranean Sea, Barents Sea, Aegean Sea, South China Sea and the Gulf of Thailand. USS TANNER served her country for 24 years, 5 months and 4 days, until decommissioned on 14 JUL 1969. The hulk of the TANNER was scrapped in 1970. USS Tanner (AGS-15) was originally built as the USS Pamina (AKA-34), an Artemis-class attack cargo ship named after the minor planet 539 Pamina, which in turn was named after a character in Mozart's opera The Magic Flute. However early in the ship's service it was reclassified AGS-15 on 15 May 1946 and renamed Tanner. She served as a commissioned ship for 24 years and 4 months.